We’re coming up to almost halfway through 2015; where has the time gone?! In this years’ volume of JPhysD (48) we’ve published over 350 papers, including two special issues; Heusler compounds and Aluminium Plasmonics, and filled more than half of the years’ issues already. So let’s cast our eye over some of my highlights of 2015 so far in each section of JPhysD. These ten papers by no means cover the breadth of the great work we’ve published in JPhysD this year so do peruse through the volume to discover a host of other work. Researchers from several European and Japanese institutions have pooled their efforts to address the sign of the (inverse) spin Hall effect, (I)SHE. To this end, they compare microwave-induced spin pumping and spin Seebeck effect experiments for a bilayer of yttrium iron garnet (YIG) and platinum (Pt) — a magnetic insulator — at room temperature. Importantly, the results across each of the different groups agree. 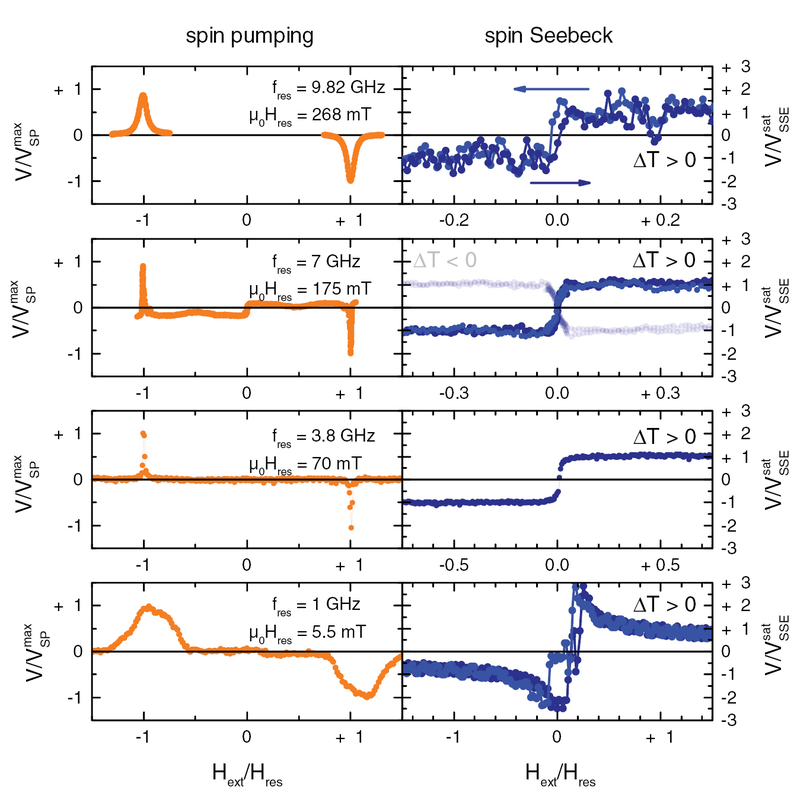 Thus, the authors were able to determine both the relative and absolute signs of both the spin pumping and spin Seebeck effects and suggest a right-hand-rule to define a positive spin Hall angle. Using magnetic lattices to trap ultra-cold atoms facilitates studies of one-dimensional quantum gases, as well as having applications in quantum simulation and quantum information processing. Researchers in Germany and Australia have designed, fabricated and characterised magnetic nanostructures to create a lattice of magnetic traps with, for the first time, sub-micron period for trapping ultracold atoms. 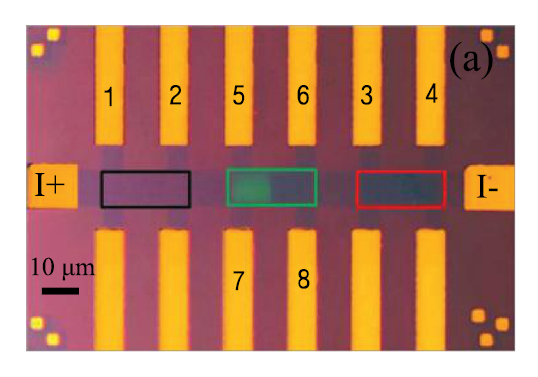 Using high precision e-beam lithography and reactive ion etching to pattern a Co/Pd magnetic multilayered thin film, they produce both 1D and 2D lattices. 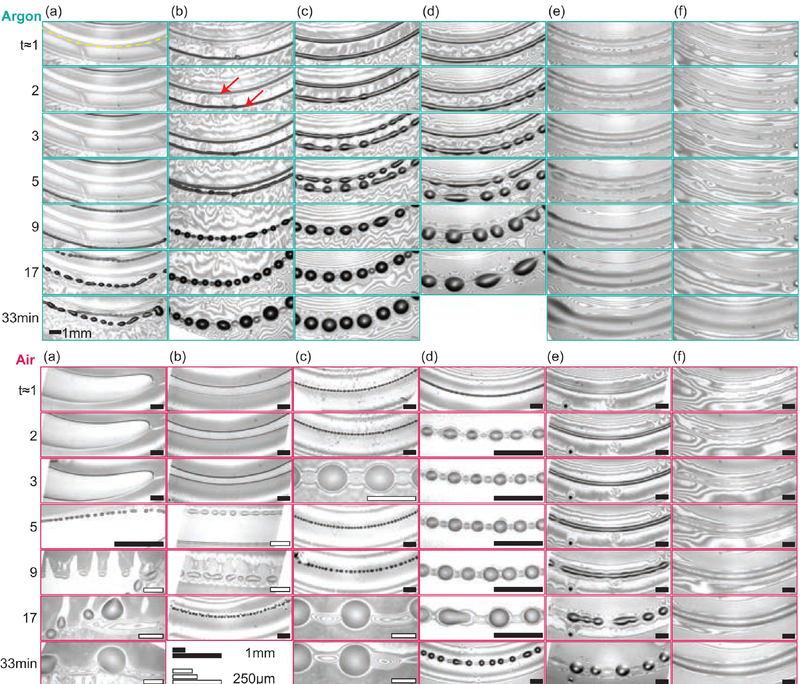 Yongzhu Chen et al have numerically studied a novel scheme to improve the field enhancement of 2D hollow tapered waveguides (HTWs). The researchers discuss a number of properties including the physical mechanism of the field enhancement. 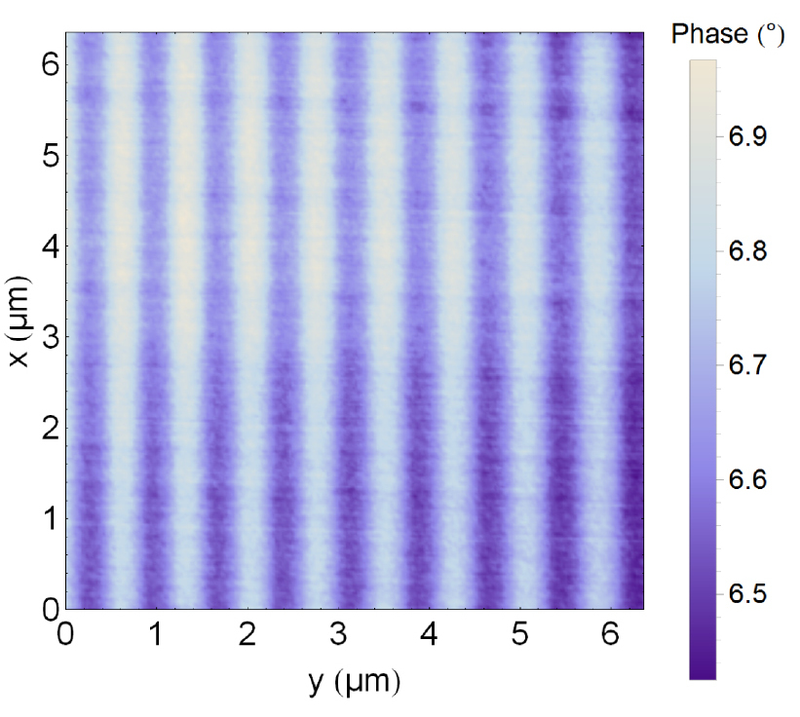 Their results show substantial improvement in excitation efficiency and have potential applications in tapered metal–insulator–metal waveguides used for nanofocussing and field enhancement. Pentamode metamaterials mimic liquid-behaviour in that they are difficult to compress whilst they flow easily, and they have applications for acoustic cloaking. In this paper, Chengxin Cai et al propose 3D pentamode metamaterials based on the asymmetric double-cone element (ADCE): two connected truncated cones with different thin diameters. After using the finite element method (FEM) to analyse the ADCE’s phonon band structures, in addition to the single phonon mode, they found complete 3D band gaps. 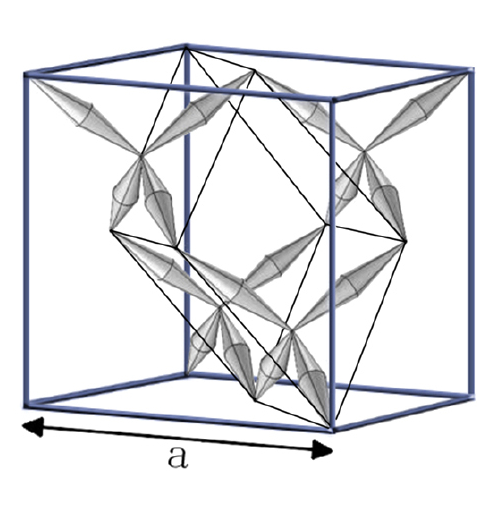 The ADCE’s degree of symmetry and figure of merit (FOM) — the ratio of bulk modulus to shear modulus — is discussed, where a larger FOM makes for a better pentamode metamaterial, as well lighter weight and a relatively stable structure being preferable. Researchers from Eindhoven University of Technology have studied the interaction of atmospheric-pressure plasma jets of Argon (Ar) and air with liquid films on moving solid substrates. They found that the liquid — an aliphatic hydrocarbon — is oxidised by the chemical plasma-surface interaction and thus, creates a local increase in the liquid’s surface tension. Developing a numerical model, the author were able to reproduce the liquid flow patterns; their formation, instability and coarsening. Monitoring the liquid flow could be useful for a plasma-liquid surface interaction diagnostic tool. 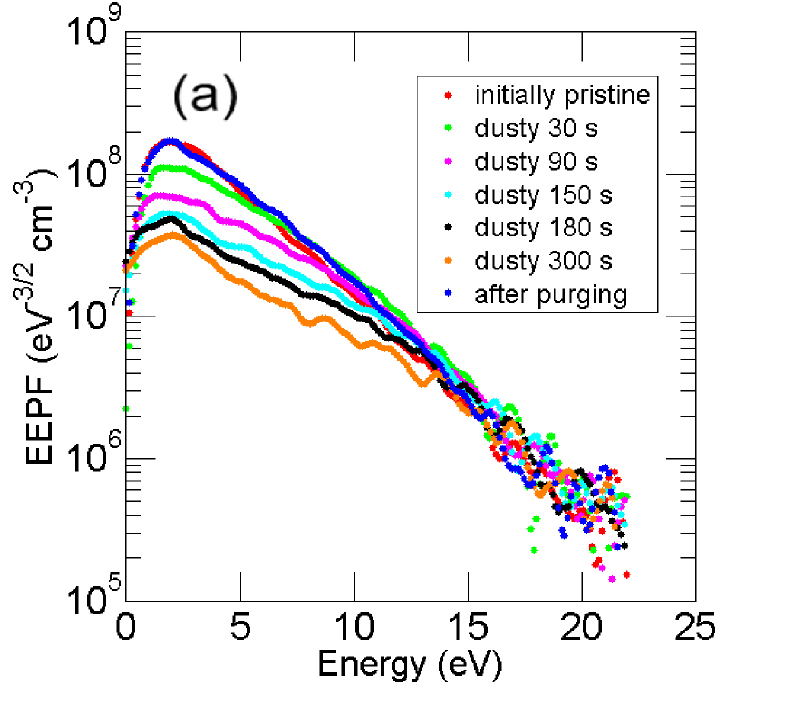 N Bilik et al have used a fast-scanning and shielded Langmuir probe to measure electron energy probability function (EEPF) in a capacitively coupled argon–silane dusty plasma, which is often a challenge due to contamination from particle and film deposition on the probe, leading to distortion of the current–voltage characteristics. Their approach, covering the probe with a solenoid-actuated shield and only exposing the probe to the plasma for short period of less than 6 seconds, minimised contamination of the probe’s surface. They complimented their findings with ion density measurements. Graphene, the wonder material, was doped with antimony (Sb) by Hafiz M W Khalil et al and found to produce no significant change in its electrical properties. The researchers from Korea found their results implied there was little degradation of the Sb dopant and transport measurements confirm n-doping of graphene and minimal changes in mobility suggests the preservation of quality. Furthermore, the paper describes the construction of a p–n junction — a basic component of electronic devices — by tuning two adjacent regions of a single layer of graphene. For use in surface acoustic wave (SAW) applications, Ait Aissa et al have deposited aluminium nitride (AlN) films onto silicon substrates with an epitaxial AlN buffer using dc magnetron sputtering (dcMS) and high power impulse magnetron sputtering (HiPIMS). Following characterisation of the deposited films, x-ray diffraction (XRD) revealed the films were oriented, and Raman spectroscopy showed higher residual stress relaxation in the AlN epilayers grown by HiPIMS compared to AlN grown by dcMS. Finally, SAW measurements indicated an insertion loss of AlN-SAW devices of about 53 and 35 dB for the AlN films deposited by dcMS and HiPIMS, respectively. Understanding the physical and biological properties of DNA is often aided by stretching the DNA onto carbon nanotubes, just like this study by Shou-Shing Hsieh et al. The researchers at National Sun Yat-Sen University used total internal reflection fluorescence microscopy visualization/measuring technique and stretching the DNA in a particular direction. Expecting a higher stretch ratio, they found they were able to stretch the DNA significantly more using the multi-walled carbon nanotube (MWCNT) films than without them. In addition, several of the MWNCT parameters are discussed. The gecko’s remarkable ability to cling to and rapidly traverse walls and ceilings, and exactly how they achieve this, has garnered significant interest. It is widely understand that one of the principle mechanisms of adhesion that allow this relies on van der Waal forces between the gecko toe and surface. John A Williams shows with high speed video analysis that the rapid adhesive contact made between the gecko toe and the surface suggests the detachment mechanism is one of adhesive instability. Modelling this instability allows large-scale analysis with more conventional engineering materials. Images adapted from the associated publications. Copyright IOP Publishing 2015. ‹ Are you going to SPP7?